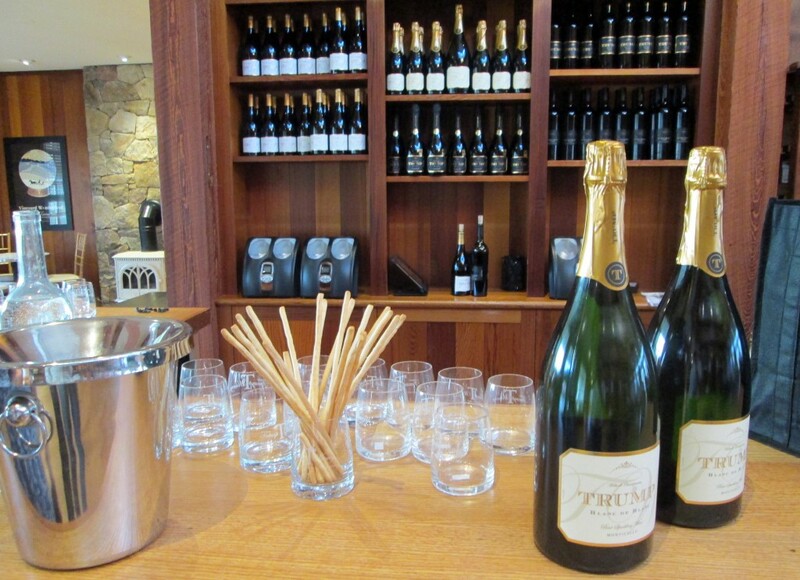 CHARLOTTESVILLE, Va. — The Trump Winery’s flagship wine, a 2009 blanc de blanc, is bright and dry, and pairs well with mild cheeses. The sparkling wine, which costs $24 a bottle, was a hit with Darlene and Jim VanBlarcom, dairy farmers from Pennsylvania who, while on a road trip through the South, went out of their way yesterday to stop at Donald Trump’s vineyard here on the outskirts of Charlottesville. The couple had not planned to visit the winery until Trump defended it — along with his line of steaks and other Trump-branded goods — in a speech on Tuesday, in response to an attack on his business record by Mitt Romney, the 2012 Republican presidential nominee. “It’s the largest winery on the East Coast,” Trump said in the speech, which followed victories in Michigan and Mississippi that solidified his status as the Republican front-runner. “We’re very proud of of it. We make the finest wine, as good a wine as you can get anywhere in the world,” Trump added. Trump’s unabashed promotion of his own commercial product during a campaign speech was the latest example of his willingness to ignore the rules of conventional politics. 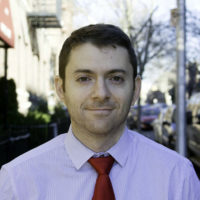 It also sparked new interest in the vineyard, leading to an uptick in visitors and online orders in the days after Trump’s speech, according to Kerry Woolard, the property’s general manager. Woolard said she was working from home on Tuesday evening when a friend texted her with the message that he had just mentioned the winery on national television. Trump bought the 1,300-acre estate for around $20 million in 2011, Woolard said. The property included a 200-acre vineyard that had stopped producing wine, and a 45-room mansion built by Patricia Kluge, the wife of media mogul John Kluge. Over the past four years, Woolard and her team brought the vineyard back to life. It now has 12 varieties of grapes and produces 40,000 cases of wine per year. Woolard, who has worked in the wine industry in Virginia for more than decade, said the winery is the state’s largest. Eric Trump, one of Donald Trump’s children, serves as the president and visits the winery once a month, Woolard said. She said the elder Trump also stops by a few times a year, and each time, takes a detailed inspection of the grounds. The Trump Winery website contains the following disclaimer: “Trump Winery is a registered trade name of Eric Trump Wine Manufacturing LLC, which is not owned, managed or affiliated with Donald J. Trump, The Trump Organization or any of their affiliates.” Still, the property’s general manager refers to Trump as her boss. It was Trump who suggested installing the enormous American flag outside of Trump Grand Hall, an imposing, 36,000-square foot venue that sits on a hill overlooking the vineyard. Signage on the property bears Trump’s trademark colors of black and gold. On a visit to the vineyard two days after Trump’s speech, couples lounged in chairs on an outdoor terrace after finishing their wine tastings. 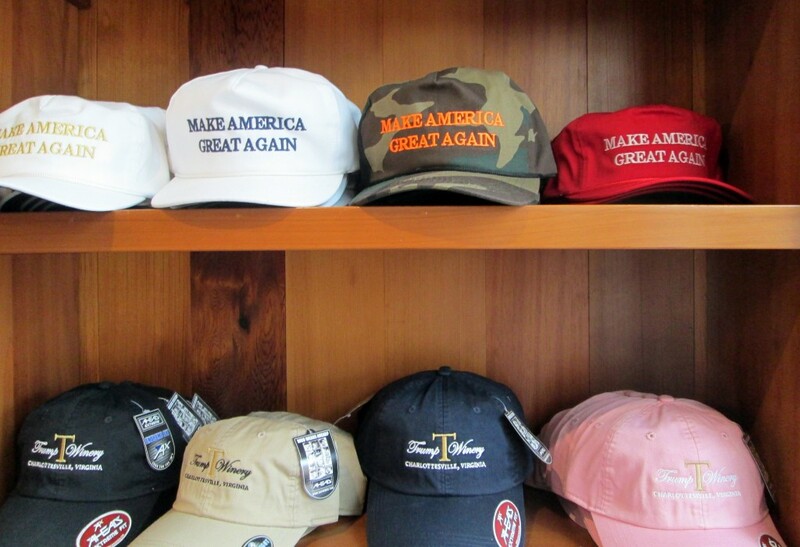 Inside the Trump Winery Tasting Room, elegant wooden shelves were stocked with Trump-themed merchandise, including the candidate’s iconic “Make America Great Again” baseball caps. Mike Haywood, a retired sales representative from Portsmouth, Va., said he was impressed by Trump’s business acumen, but was not enamored with his campaign so far, though he planned to vote for Trump if he wins the Republican nomination. Haywood’s wife Cathy, a court reporter, said she was also a former Carson supporter. But while they shared the same political views, their tastes in wine ran in opposite directions. 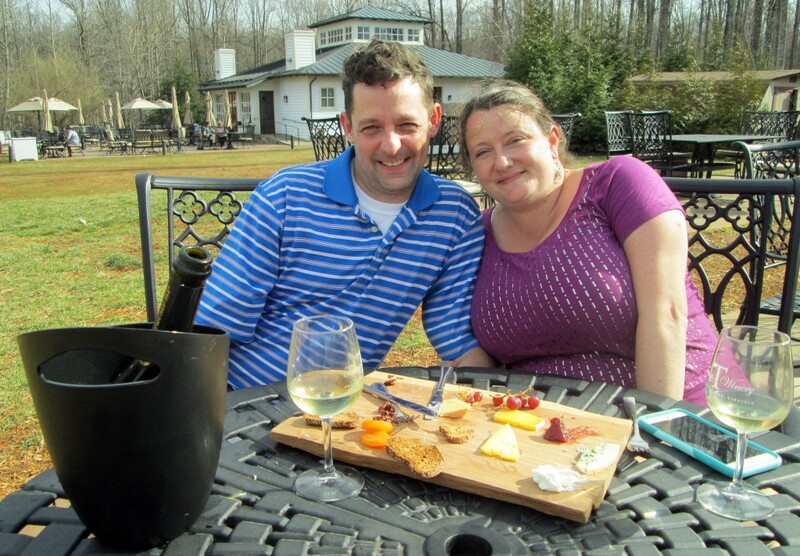 Farther off on the lawn, Nicole and Aaron George, a lone pair of Clinton supporters, enjoyed a bottle of Trump’s blanc de blanc, which won the double-gold award at the 2015 San Francisco International Wine Competition, and a plate of cheese and charcuterie. The Georges belong to the vineyard’s wine club, and said they would keep up their membership regardless of what happens in the election. “We’re not going to vote for Trump. But we’re going to come drink his wine,” Nicole said. 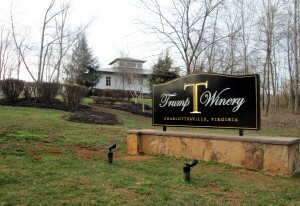 Editor’s note: This story has been updated to better clarify ownership of the Trump winery.